I’m not gonna lie, we were hesitant to jump on the gift guide bandwagon this year. After all, we are known for efforts to fight the over-gifting epidemic; so before we were able to put our fingers to the keyboard on this bad boy, we needed to ask ourselves one very important question… is it possible to gift responsibly? After much consideration, we have come to the conclusion that it is possible, as long as you keep it experiential, sustainable, unique (and preferably Rebel Mama owned and operated!). Spa’s are amazing, but they’re also logistical nightmares for new and veteran parents alike. Enter WellCalm: The answer to all your massage-needing woes. Basically, you jump online, pick your service, indicate a time and place that fits your schedule (ie: nap time, in your living room, on a Tuesday) and voila! WellCalm will send a licensed and vetted RMT, Chiropractor, or Physiotherapist right to your door. The best part? They’re available 7 days a week, 365 days a year, from 8am-10pm. #bless. Yas! The gift of time. And cleanliness. And not having to change the linens. And not having to mop. Or dust. Or vaccum. You get where we’re going here. Find a service in the area within which the giftee lives and pre-pay for a few sessions. Every young family is dying for a break from chores – you could be the one to give it to them! There’s a place in Toronto’s West End that is dedicated to the overall health and well being of mothers (CAN WE GET AN AMEN?). From fertility to pre and postnatal services, this place is a dreamland. They offer everything from yoga and acupuncture to nursing workshops and pelvic floor therapy, so if you have a new mom in your life, a gift certificate to West End Mamas will undeniably be the gift that keeps on giving for her. It’s the book that everyone is raving about, and for good reason. 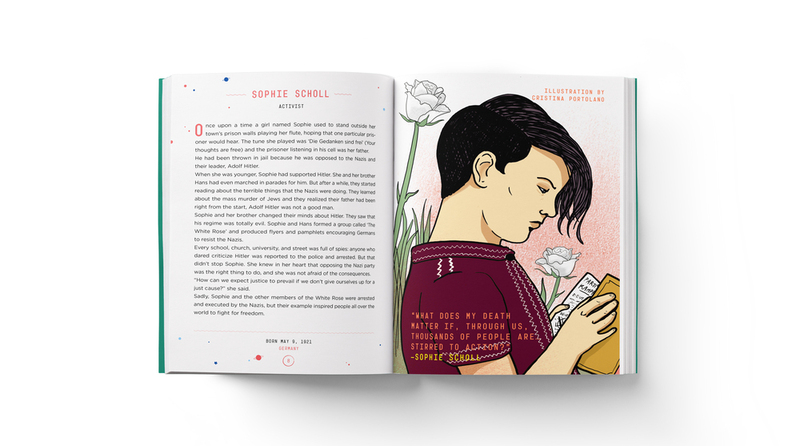 By telling the stories of 100 incredible women (ranging from Elizabeth I to Serina Williams), this book encourages young girls to dream of walking on mars or creating a vaccine rather than meeting Prince Charming. We are ALL about it. (PS there’s also a sequel). * If you want to a a real hero, pick this baby up at a local book store, like QUEEN BOOKS. Let’s face it, buying kids’ clothes is weirdly satisfying – I mean… THEY’RE JUST SO CUTE AND SMALL! So if you just can’t resist gifting something wearable, we can’t blame you, but we can suggest supporting local mamas while you’re at it. Mo Green prints positive messages on super soft tees for tots (and their parents!). BONUS: The creators of Mo Green donate a percentage of the proceeds from each sale to a registered charity so you can feel extra good about your purchases. It’s a Christmas miracle, y’all! If you’ve got kids, then you know that the gift that all parents need in their lives is the gift of alone time. So instead of a new winter jacket or a fancy necklace that will be worn all of five times, why not make a deal with your spouse to give each other the gift of an adult-only escape in the heart of the city? Le Germain, Templar Hotel, The Hazelton – Toronto is filled with boutique hotels with dreamy linens and epic room service. For one night only, treat yo-selves. While we don’t believe in gifting crap, we do believe in gifting sustainable goods that are handmade in Toronto by BOSS Rebel Mamas. Nicole Manek is one of the city’s most highly sought after stylists; she also happens to be the reigning queen of vintage who takes preloved luxury goods and breathes new life into them by repurposing them into fabulous, current pieces. Our favourites are her up-cycled fur bags and clutches. Gimmie! Gimmie! Gimmie! Wrap up a pair of dance shoes for your little one and when they open them up, tell them it’s time to boogie! Registration at The Pointe Dance Centre in West Toronto is a great gift for a kid with more energy than you can handle (they need to burn it off somehow in the winter! #jesustakethewheel). For ages 2.5 and up, the classes are all about being creative and having fun (plus, they’re appropriate for girls and boys alike – Equality!). 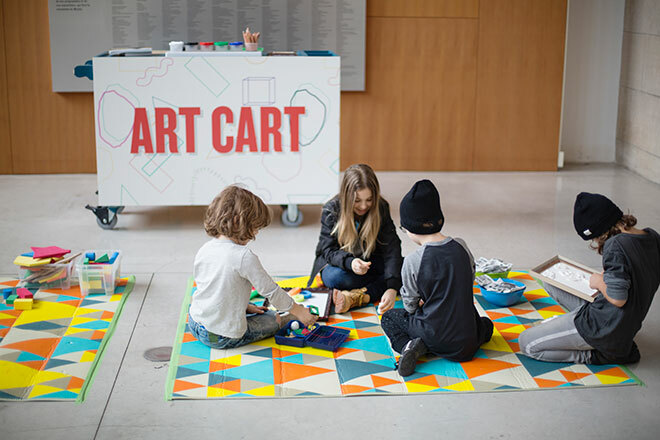 Contrary to popular opinion, Museums are not just boring old buildings that house boring old paintings; modern museums like The ROM and the AGO are incredible places to take young children to explore. They are interactive and exciting… plus they’re temperature controlled and there’s enough to see in there to kill an entire day (both of which are key during the cold Toronto winter months). For the whole family, duh! Ok so maybe you saw this one coming, but a little shameless self promotion during the holidays is to be expected, right? Always a crowd pleaser, our jerseys help you to acknowledge the Mamas, Papas and Auntys who go over and beyond for the kidlets in their lives. With super soft fabric, flattering cuts and easy nursing access for the ladies, who wouldn’t want a little piece of The Rebel Mama under the tree?